In coaching, the greatest rewards come from helping people on their journeys and following their dreams. Helping them overcome fears by being there each step of the way. 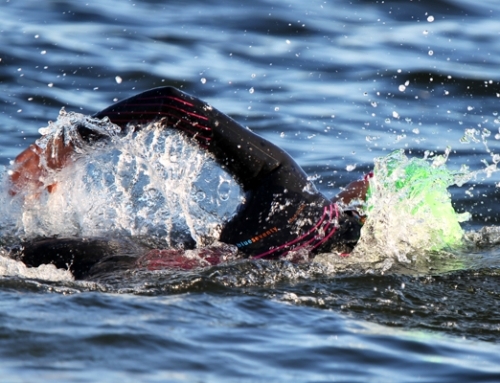 For many people, swimming is a paralyzing obstacle. Here are the facts: Two-thirds of Americans are afraid of deep, open bodies of water and 46% are afraid of the deep-end of a pool. 37% of Americans are unable to swim, and almost 4000 people a year in the United States die of drowning. Knowing how to swim (and equally important, knowing how to prevent panic in the water) are unquestionably life-saving skills, but if most swim lessons begin with “Get in the pool” those afraid of that first step will avoid lessons entirely. Those who enter the pool afraid are often prone to panic at some point in their learning and never go back. 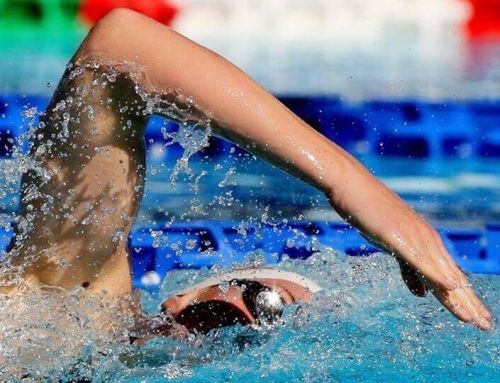 Most children of non-swimmers don’t get enough practice to become competent swimmers themselves, thus perpetuating the cycle. Anyone who enters the pool feeling overwhelmed by fear of embarrassment, failing or being out of control, will have a terribly hard time listening and learning over their pounding heart and racing thoughts. 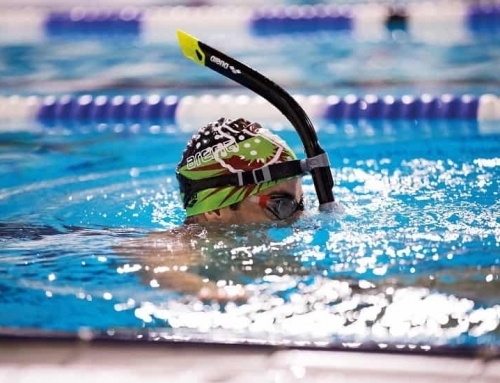 In my work I see many types of swimmers from advanced, looking to improve their technique to those who do not swim at all. Teaching the non- swimmer is by far the most rewarding. This past weekend I attended a course to further my education and my desire to be the best coach I can be. I was one of a small group of people who gathered to learn teaching methods practiced by leading adult learn-to-swim authorities. 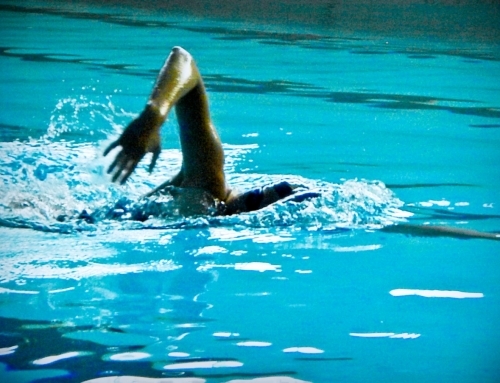 The course incorporated training methods to help adults overcome their fear of the water and become swimmers. It was great to gather with like-minded people, all wanting the same goal; to help others learn to love the water. Yes, I became a certified U.S. Masters Swimming Adult Learn To Swim Instructor, but the course was more than getting the certification. In the last few days, I have thought about the non-swimmer. Here are a few of my thoughts. Sure, the end goal is learning to swim, but conquering “fear of the water” is much more than just swimming. There is a significant difference between helping a person, regardless of their age, fitness level or life experience, overcome varying degrees of fear surrounding water, which plainly stated is the fear of drowning, and teaching any person who is not suffering from that same fear, how to swim. The process and skill sets that are required to meet the needs of both are vastly different. It’s completely natural and normal to be scared, nervous or apprehensive about something you don’t understand. It’s just the subconscious part of your brain keeping you safe and keeping you out of danger, and you are certainly not alone in being scared of the water. Trust, in a few different forms, is a gigantic part of the process in facing any fear. The Student /teacher trust is the key to helping face the fear of water. It is important to have a mutual trust with your student to help them become closer to reaching their goal. The water can be a very scary place, it is also a great place of peace and tranquility, once you are able to embrace the water you will feel more relaxed and able to focus on imagining yourself successfully swimming in a comfortable, stress-free environment. Finally, and most importantly you don’t need to feel bad if you are subject to fear of water because everyone! has a different level of water confidence and it can change depending on circumstances. 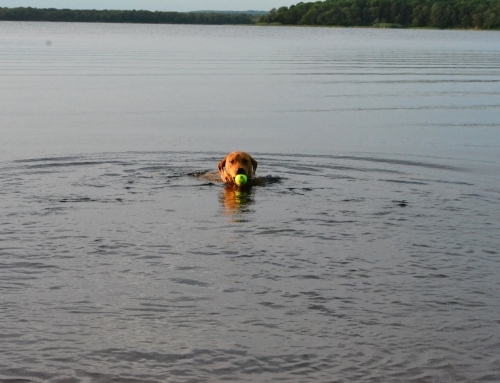 I learned to swim as a child and those skills have evolved through the years. Although I am a competent swimmer I still have the utmost respect for the water and experience some level of anxiety before swimming in an unfamiliar place. The point I want to make is that even experienced swimmers can sometimes experience fear of water or at least have a certain level of anxiety. Embrace your fears, step into the water, you will ever regret it!